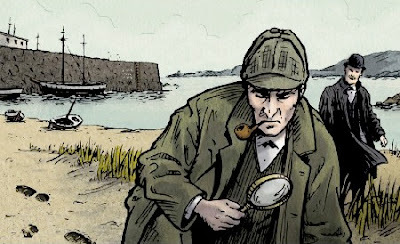 Congratulations to Lynn, who correctly identified Conan Doyle as this weekend's Person-of-Mystery. Obviously, Sir Arthur Conan Doyle is most famous for being the author behind Sherlock Holmes. Kristine and I have been following the new BBC series called "Sherlock," a modern adaptation of the classic detective series. Overall, it's very well done with good acting, nifty camera work, and a wonderfully talented story, loosely based (but not overly so) on Doyle's original work. Like most modern entertainment though, it suffers from the need to inject far too much sexuality and profanity, so I'm afraid I cannot recommend it without those reservations. Conan Doyle studied medicine, wrote his doctorate on a nervous disease often caused by syphilis, practiced as a ship's surgeon on the SS Mayumba, and later set up an unsuccessful practice as an ophthalmologist. All these experiences provided ample literary material for his character, Dr. John Watson. 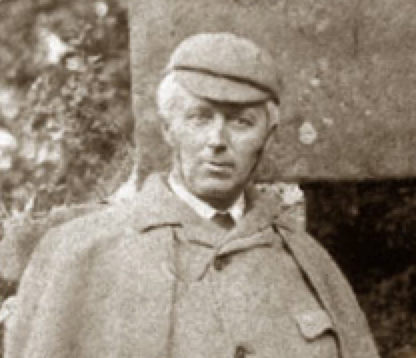 Sherlock Holmes was patterned after one of Doyle's university professors, Dr. Joseph Bell (1837-1911). 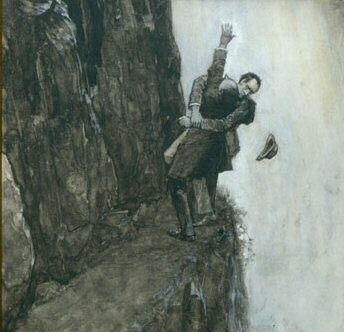 Doyle and others made it plain that Bell was the inspiration for Sherlock Holmes and Dr. Bell was later served as a forensic consultant for the police on a number of famous cases. Conan Doyle was also an athlete, playing club football, cricket, and golf. 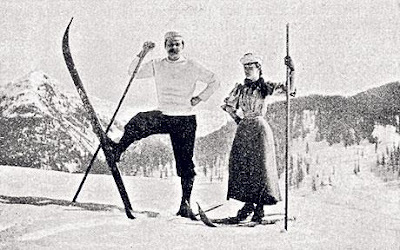 He is even credited with being one of the first to introduce skiing to the Alps, taking part in the first skiing tour from Davos to Arosa with the Branger brothers in 1894. 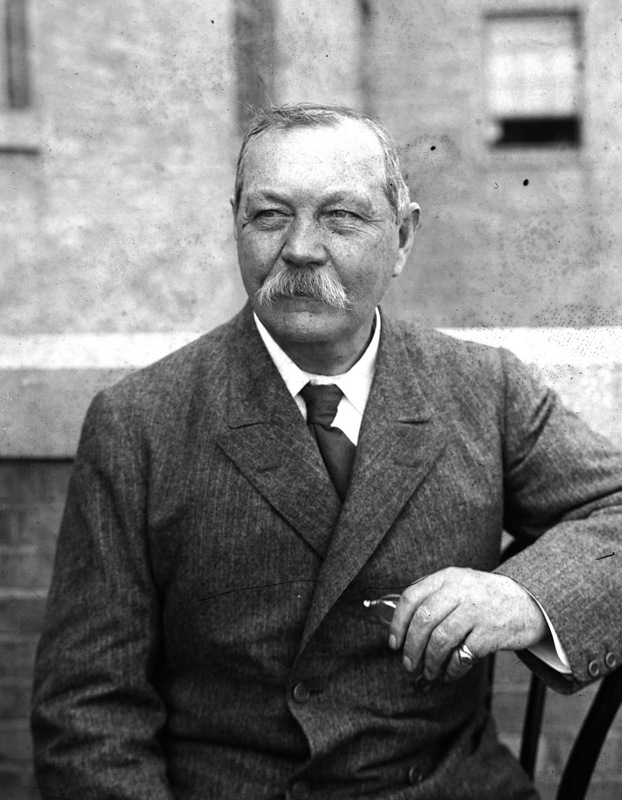 Conan Doyle's knighthood, conferring upon him the title "Sir" was believed to be granted in response to a defense he wrote of the Britain's role in the Second Boer War. 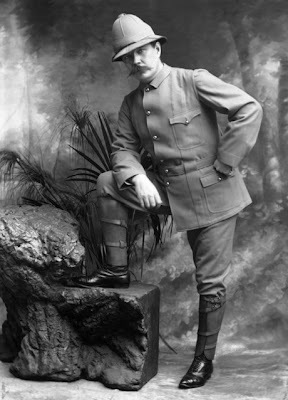 Doyle was a veteran of the same conflict, having served as a doctor in a field hospital. Doyle, was a firm believer in justice and used his stature in two high-profile cases to have the convictions of wrongly accused men overturned. 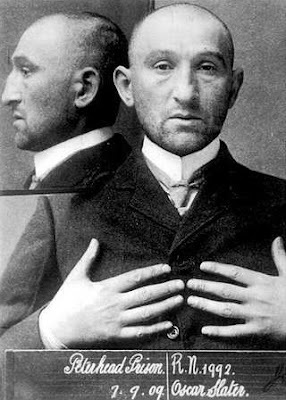 George Edalji, had been wrongly convicted of one in a string of animal mutilation to horses in 1903 (even though the mutilations continued after his arrest). Doyle led a successful campaign to show him innocent after his release in 1906. In a second case, Doyle worked in conjunction with others to free Oscar Slater, wrongly convicted of murder in 1908. Doyle was finally successful in reversing the conviction in 1928. Perhaps surprising to some, Doyle at one point had grown weary of the Sherlock Holmes series and tried to kill off the character in "The Final Problem" where in a dramatic struggle, Holmes plunges to his death over a waterfall. Popular outcry, including from Doyle's own mother, led him to continue the series with only an apparent demise in the previous episode. 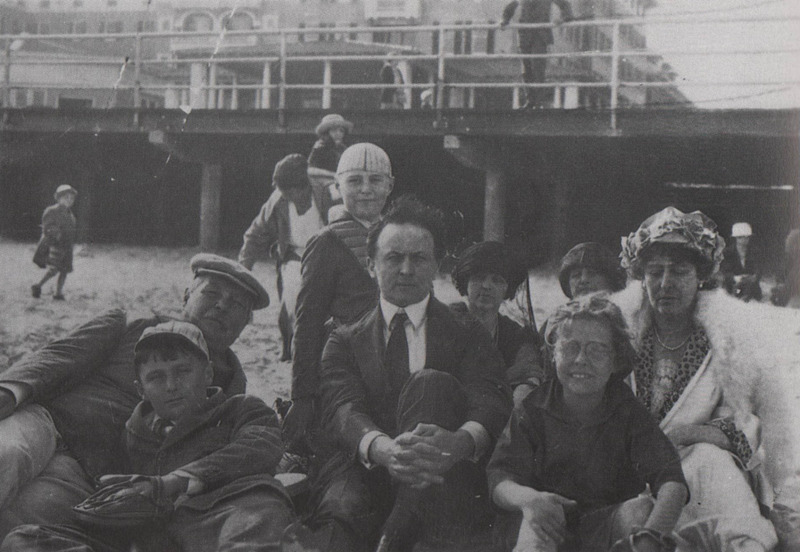 For a time, Conan Doyle formed a strong friendship with the famous magician, Harry Houdini. However, as Houdini became more outspoken exposing psychics and other frauds, Houdini and Doyle had a public falling out, to the point where Doyle would not disbelieve Houdini when he professed to the public that he had no special powers. Following the deaths of a number of family members (including his first wife, son, and brother), Doyle became very forlorn and melancholy. He virtually stopped publishing Sherlock Holmes and turned his interest towards Spiritualism (the false religion started by the Fox Sisters). 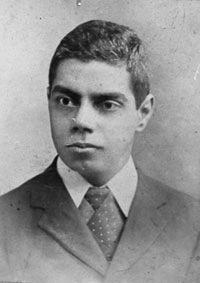 He became such a strong believer that he wrote numerous books in defense of the belief system, disavowed Christianity, and was even taken in by a series of five faked photographs of the Cottingley Fairies, where two young female cousins supposedly took photos of each other which when developed showed them in nature with fairies. 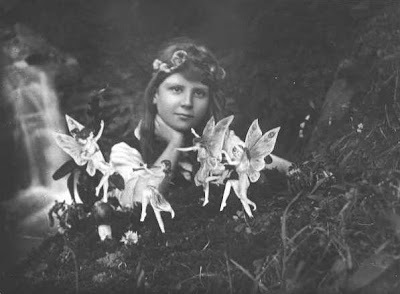 Today, these photos are clearly ridiculous and the fairies have been identified as illustrations from a contemporary book, but at the time many were taken in this hoax, including Conan Doyle who wrote a defense of the photographs as genuine. 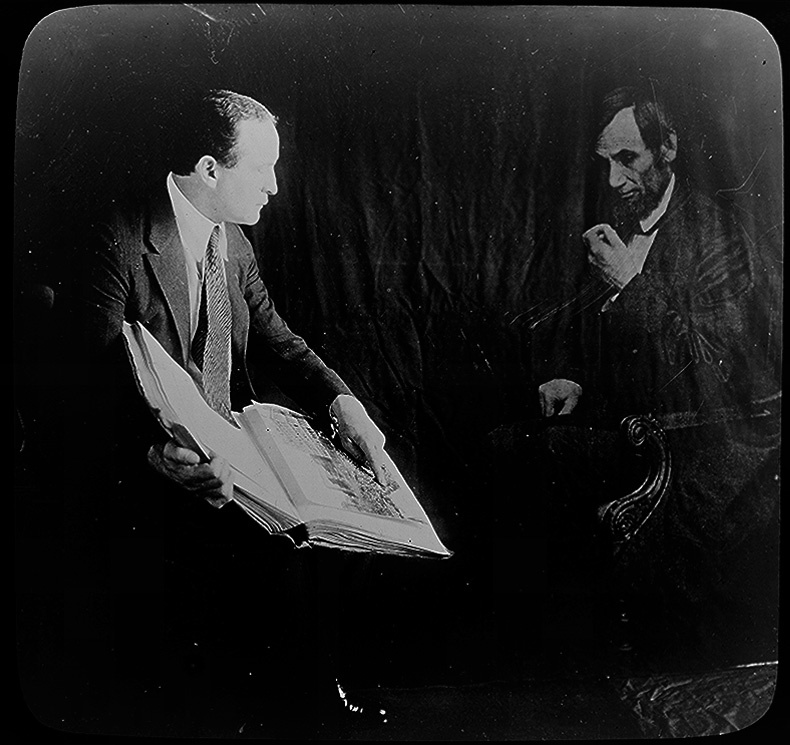 Houdini produced a photograph of himself with Lincoln in an effort to discredit photo manipulation hoaxes, but it only produced further strain between Doyle and Houdini. 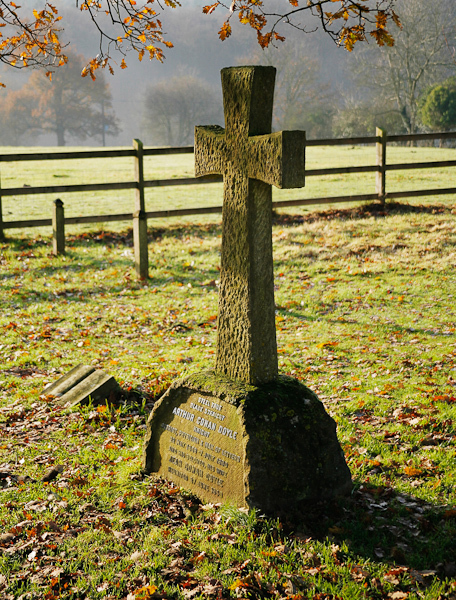 Doyle died in 1930, but outspoken anti-Christian beliefs would not allow him to buried inside the churchyard, so he was interred just outside the fence of All Saints' Church in Minstead, Hampshire, England. 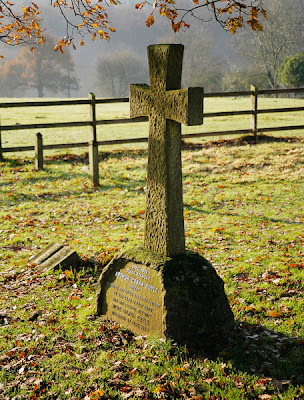 For years, the marker (which is ironically a cross), had no inscription, but now bears one and due to the growth of the cemetery, now lies alongside others. 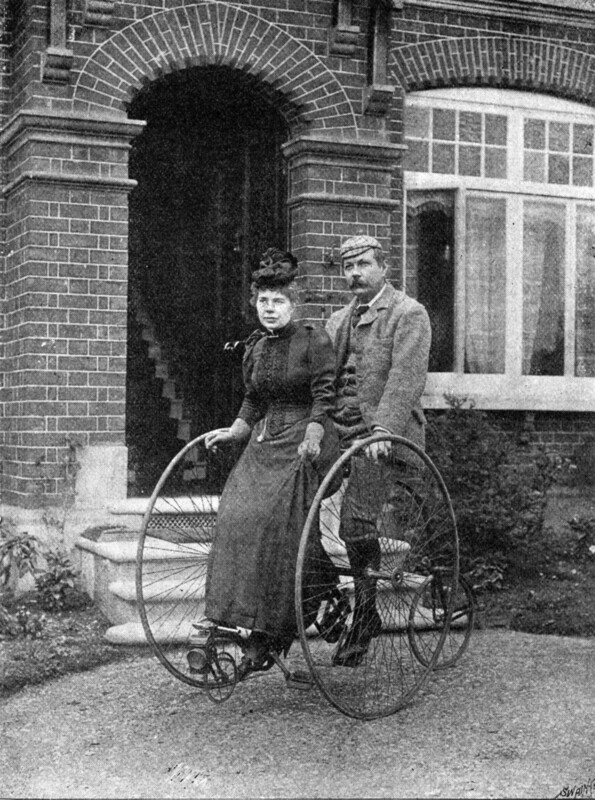 One final item of curiosity, while researching this article, I found an interesting photo of Conan Doyle and his wife on a tandem penny-farthing. Not being an expert on older cycles, I did not know tandem versions even existed. I guess you learn something new every day. Interesting post Nate, Quite a life the man led. I am currently reading the Adventures of Sherlock Holmes on my Kindle. I tried reading Doyle's work when I was a kid and didn't like it. Now I love his style. I guess because I'm older. I have the Return of S.H. loaded up and ready to start when I done with the first. As always very interesting & informative. Thanks, Nate. Now I think maybe I'd like to read more about Dr. Joseph Bell. Thank you, this was very interesting and an easy read with all the photos. I had to look up ophthalmologist. I'm not a fan of the British involvement in the Boer Wars (they invented the concentration camps) but Sir Arthur seems to be an OK chap. great was the writer, not like the present! eroded in the fantasies and utopias and evaporated concentrate in their bottom line, do not stack integrity. I agree thoroughly with what Rob from Amersfoort says about the Boer Wars and regret to not have expressed these sentiments sooner. I'm not really knowledgeable on the subject but I suspect strong condemnation of British actions may be well warranted. Your account of the Edalji afair is not accurate. Edalji was accused of the 8th outrage of 1903but none of the others. It was after he was released in 1906 that Conan Doyle set about trying to prove him innocent. See my 'Outrage: The Edalji Five and the Shadow of Sherlock Holmes', Vanguard Press, for all the evidence. Details are at www.outrage-rogeroldfield.co.uk. Roger, rereading what I earlier wrote, I agree, I was not completely clear that Edalji was convicted for only one of the outrages. I was wrong on my timeline, but hopefully I've cleared that up also. Thanks for your helpful comment! I had to comment on your judgment of spiritualism as a "false religion". Who pronounces such a judgment? Just what do you consider a "true religion", the "approved" old orthodox monotheisms or what? Just what makes spiritualism and its alleged discoveries somehow less "true" to those who believe it is valid, compared to the other religions, all of which contain some things that are particularly hard to believe in for an outsider, but many millions apparently do. Nate, thank you for your interesting summary of ACD's life. In my collection of letters from Harry Houdini and Conan Doyle, I have found items that bring me to a rather different opinion of his history. All this will be brought out in my 10th book, "A Magician in the Laboratory," to be seen shortly. Re the comment from "Anonymous," I would agree, but he/she seems not to differentiate between "evidence" and "belief," else any and all religions based only on preferred beliefs are philosophically bankrupt. ACD created a character who could not possibly have functioned in a real world, another point I make in my new book. In any case, thank you for your interesting input and POV. good APK this will install the Kodi APK with success on your android Kodi App generate the Kodi APK. Kodi App has been an open supply nice.